Enjoy the feeling of a rural retreat only a short walk into town. Capturing views across the bay from its elevated alfresco/ kitchen and living area, this custom designed and built home is wrapped within a large private 2598sqm garden setting and truly worthy of inspection. 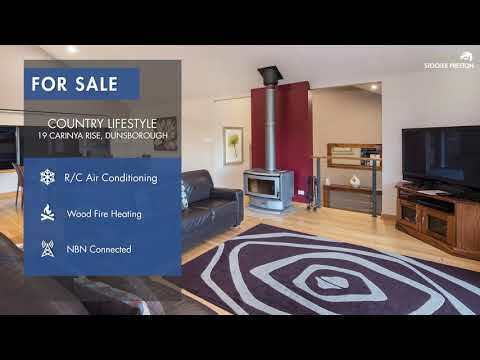 Set back from the road in its own quiet cul de sac of the Windlemere Estate, travel down its winding drive lined with lush agapanthus, natives and grass trees and be greeted by an elevated 4 bed, 2 bath home wrapped tightly around by a timber deck complete with sheltered alfresco. A few steps up from the paved path through the double door entry you will arrive into a high vaulted ceiling foyer. With tassie oak floorboards underneath and only a few steps up, discover the open lounge/ living and kitchen area enclosed by floor to ceiling bifold glass doors. Let the sea breezes in and take in the views. With a choice to relax in your lounge room or outside in your protected alfresco, this home is designed for seamless indoor -outdoor living and entertaining throughout the seasons. Within the living space there is a wood burning fireplace and air conditioner to cool you, complete with ceiling fans and surround sound speakers. The kitchen is well equipped with plenty of bench space and a breakfast bar custom made from only the finest black stone. There are Miele appliances, a decent sized pantry and a retractable glass servery that will enable you to entertain with ease on those hot summer nights. With plenty of timber cupboard space for storage and room for a large fridge, this kitchen aims to please. Easy to live in with superb functionality, the accommodation wing offers 3 minor bedrooms, and a separate master bedroom with external access to the deck and garden, finished off with its own separate ensuite and large walk in robe. With an oversized laundry, family bathroom and separate WC, your family and guests will be well accommodated. The exquisite gardens and landscaped surrounds include two separate grassed areas, a double and single lockup garage, large undercover boat shelter, water tanks and a powered storeroom. 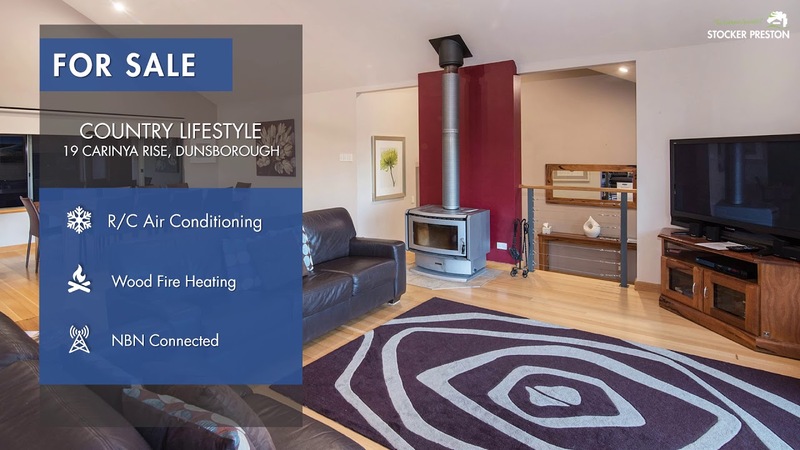 Situated close to town, this beautiful home truly offers a much sought after lifestyle in Dunsborough. So, if you want the feel of being in the bush, yet close to the stunning beaches, boutique village, restaurants and wineries then grab this opportunity now before it goes.